Vin Stella offers full architectural services master planning, space planning as well construction consulting, building condition reports, feasibility cost assessment and construction management. I have earned an excellent reputation in providing my clients with creative, timely, value based solutions meeting their every building goal. We have been in business since 1984. Architecture will reflect a translation of your personal needs, taste and individuality In planning I believe in a team approach where we together achieve a successful ultimate building solution. We will achieve the maximum value for construction. I stand committed in assuring you the maximum project results for every dollar invested. In the end the art should speak for itself. Stott Architecture aims to deliver functional, attractive, environmentally-friendly buildings that fit the site and surrounding styles. This is achieved through intensive collaboration with clients and careful understanding of the intricacies and functional relationships required for efficient building operation. The satisfaction of a client’s individual needs, including budget, and design is the firm’s single, most important goal. GRAPHIC DESIGN STUDIO Our graphic design studio provides design services for all of the firm's architectural projects and presentations, including 2D and 3D renderings, while maintaining an extensive and stand-alone practice. The graphic design team offers creative, visual marketing, brand identity and web site design and development services to commercial, government and nonprofit organizations. Given today's ever-changing business demands, they approach each project with a customized communication solution that reflects a client's unique message from concept to creation. With deep experience in graphic and fine arts, Stott Architecture is able to design effectively for any medium and strategically for advertising and marketing, including corporate collateral, logos, direct response pieces and brochures. We know your home is more than wood and mortar. It is where your life happens. With more than 25 years of experience and a driving passion to exceed our client's expectations, we will go above and beyond to help create the perfect space so you can live the life you envision. Our office was opened in 1983. We are a small design collaborative, whose body of work has primarily been focused on high-end residential design. We have participated in projects located on the East End , New York City , Houston , Dallas , Atlanta , Michigan and elsewhere. 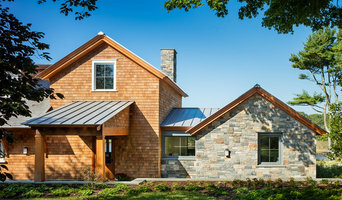 The diversified experience we have with different building types enhances our abilities to produce solid designs and provides us with a unique talent for problem solving. Latest computer-assisted architectural technology available provides us with improved coordination and true three-dimensional modeling interactivity. Our software allows us to produce renderings and 3d Imaging with animated walk-through Presentations. 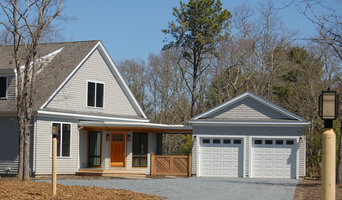 We are a small residential design firm with over 18 years experience specializing in designing custom homes for home owners and home builders throughout southern New England. We are always committed to providing detailed house plans needed to obtain a building permit while enjoying working one on one with our clients creating the homes of their dreams. Conceptual Lighting, LLC is an award-winning lighting design firm that is committed to responding to the individual needs of each client in the most honest, thoughtful and financially unbiased manner. Lighting Design services provided by Conceptual Lighting, LLC are artistically based. Conceptual Lighting, LLC is not responsible for the installation and/or construction of the actual lighting products. Peter Romaniello is a professional member of the International Association of Lighting Designers and has over 20 years of experience in both architectural and theatrical lighting design. His company, Conceptual Lighting, LLC, is a diverse architectural lighting design firm that develops lighting systems for a variety of commercial and residential spaces. Houses of worship, restaurants, educational facilities, health care facilities, and exterior landscape lighting are all common project types handled by the firm. The small size of the firm assures attention to detail and a personal commitment to each project. Peter Romaniello’s theatrical lighting design background allows for an approach to lighting that is both aesthetically pleasing and technologically correct. Jonathan Foster RA, LEED AP is a multi-disciplined architect with diverse capabilities and comprehensive experience in building, design and aesthetic problem solving. 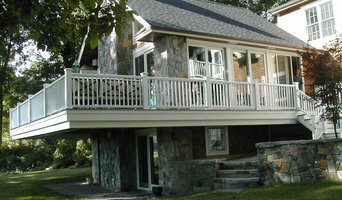 We have deep roots in New York and East Hampton and have completed projects across the United States. Mr. Foster’s background has been with high profile, international and Fortune 500 companies and projects since 1980. Mr. Foster developed a general practice in Architecture with a large group of residential, retail and commercial clients. As the American architect for Yves Saint Laurent of America, he was responsible for all retail, showroom and office development in the United States. The new office designs for consulting companies such as Computer Sciences Corporation lead the way in high tech and collaborative work places. These projects consist of office buildings, Solar integration in commercial space, Historic Rehabilitation, Art Galleries, and high end residential including Apartment combinations in NYC as well as Houses on the East End of Long Island. Professional and personal architectural firm offering residential, commercial and institutional design in Rhode Island and Massachusetts. Remodels, renovations, new homes, interiors, offices, businesses. Green design & LEED.